Hi everyone! 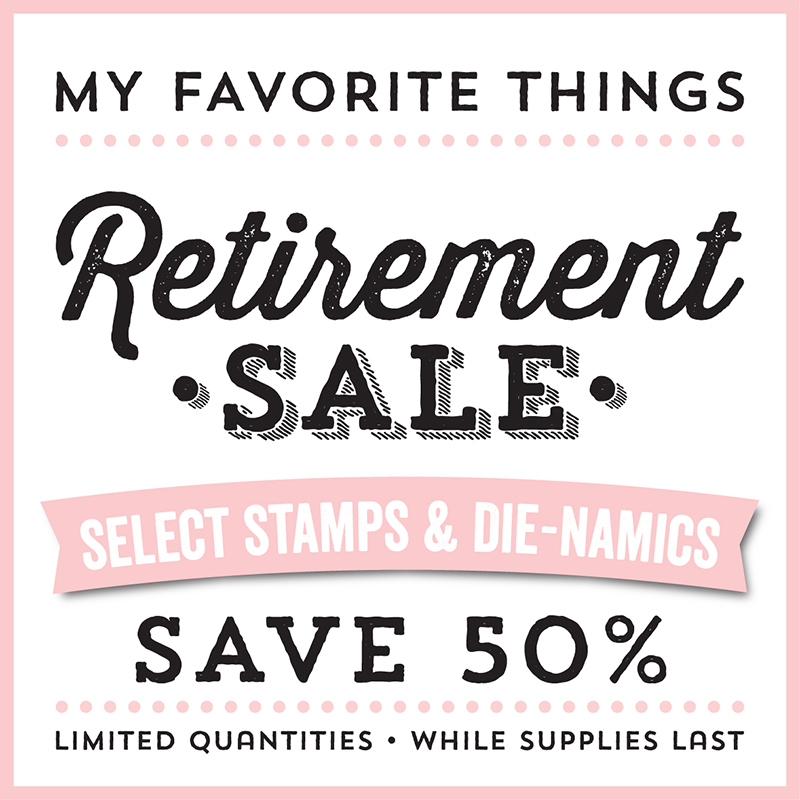 Today starts the annual My FavoriteThings retirement sale! 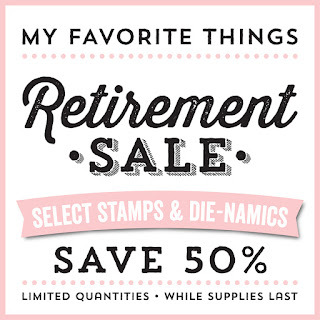 Retiring products will be 50% off! YAY! I’m sure the products are going to fly out of the door fast! So don’t miss out, because when the sale is over, the products go away for EVER! 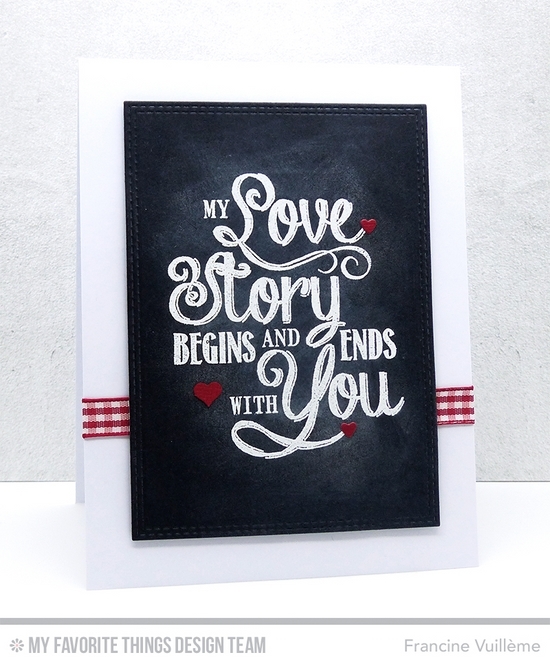 Here is a card I made with two products that won’t be restocked anymore: the Love Story stamp set and the Fluttering Hearts Die-namics (the tiny hearts). I used the CHALKBOARD TECHNIQUE. First, I stamped the beautiful sentiment with Versamark on black cardstock and I heat embossed it with white embossing powder. I then picked up some white PanPastel chalck with my finger and I lightly rubbed it over the sentiment. Finally, I wiped the image with a towel to remove any excess chalk. Quick quick! Head over to the MFT SALE category for more retired items! 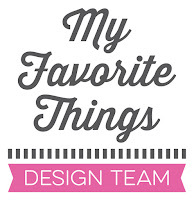 Also be sure to check the MFT blog for more inspiration every day.